Dr. James Okamoto serves the Waipahu, Hawaii region, where he offers supportive weight management services at his practice, Ka Wai Ola Family Medical Clinic. If you need to lose weight, he gives you all the tools you need, from planning a sustainable and healthy diet to exercise advice and emotional support. Why is maintaining a healthy weight important? It’s estimated that 71% of adults in the United States are overweight. But the health problem of overweight and obesity aren’t limited to adults, as the number of obese children and adolescents is also climbing. Being overweight doesn’t just put a strain on your bones, muscles, and heart, it also raises the risk of developing serious health conditions. In children and adults, being overweight increases the risk for high blood pressure and coronary artery disease. In adults it leads to a higher incidence of heart attacks and strokes and is one of the primary reasons adults develop type 2 diabetes and sleep apnea. Obesity has even been linked to some cancers, such as breast, colorectal, and uterine cancers. Do you really need a weight management program? You’re not alone if you’ve tried to lose weight only to gain it back again. Weight management services make the journey a little easier and improve your chance of success. A weight management program gives you the information needed to create a healthy lifestyle with strategies you can stick with for the long run. And don’t underestimate the value of the emotional support and encouragement you gain when the staff at Ka Wai Ola Family Medical Clinic are in your corner. What weight management services are available at Ka Wai Ola Family Medical Clinic? Calorie and portion control. Weight loss comes down to limiting the number of calories you consume. The doctor provides information and tools that simplify calorie counting and keep you on track. Nutrition counseling. As you lose weight, Dr. Okamoto wants to be sure you get all the nutrients your body needs. He’ll help identify nutrient-rich foods and if necessary, check your nutritional status and recommend vitamins to boost any deficiencies. Exercise. Getting more exercise doesn’t just help you lose weight, it lifts your mood and improves your overall health. The best way is to choose an activity you love, and Dr. Okamoto can help you find exercise resources. Lifestyle review. Lack of sleep and living with constant stress lead to weight gain, so it’s important to talk about lifestyle changes that may help you lose weight. Medication. Weight-loss medications are intended to be used along with lifestyle changes – and only for a limited time – but some prescription medications can safely kick-start your weight loss. Ka Wai Ola Family Medical Clinic accepts most insurance providers. Please contact our office if you do not see your insurance provider listed. We do not accept 3rd party claims. Body contouring treatments are cash only. "I saw Dr. Okamoto online on a Sunday for a health concern immediately, and he seemed to be the most knowledgeable and competent doctor I have seen in a while"
"I never felt rushed... I didn't have to wait... they put me right in a room"
"But he's great, kind and warm. He takes the time to explain everything to you and the options that are available... Everybody loves him - you will too!" 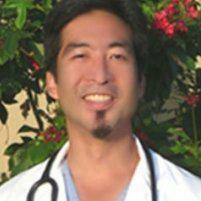 "Dr. Okamoto is great! He is always pleasant and very informative!... Thanks Dr. Okamoto!"